moment he’s who you were meant to be with. battle the reinforced walls around my heart. can search their whole lives and never find one? myself the same question over and over. Wow! 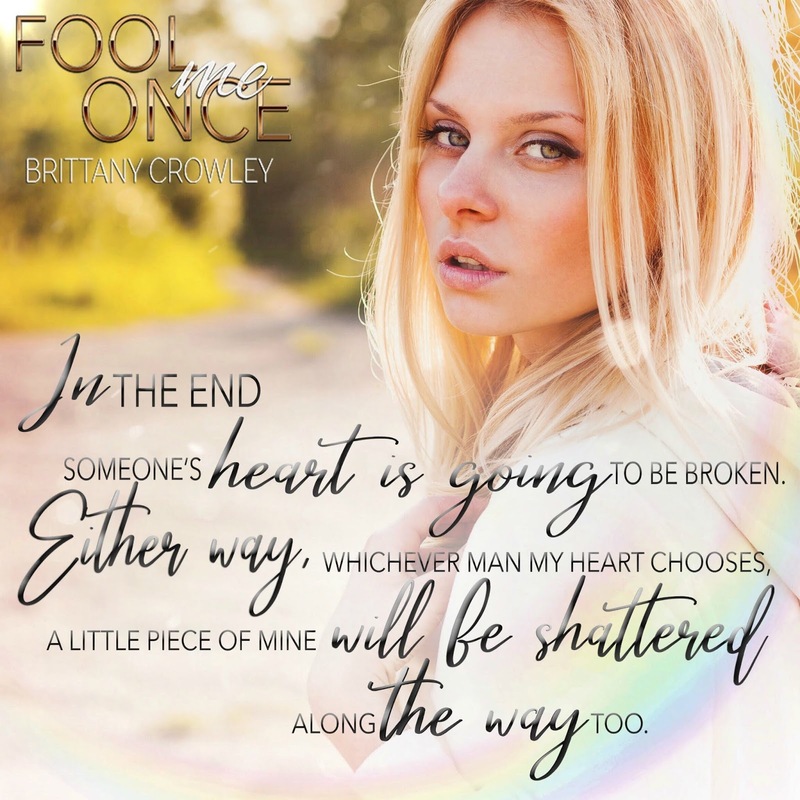 I thought I loved Brittany Crowley’s books about the Cage brothers but nothing compares to the depth and emotions that she shows us in her newest book Fool Me Once. I couldn’t help but become permanently intertwined in Lexi, Carter, and Nate’s fictional world and feel my emotions be tossed to and fro like the waves of the sea with all the angst and feelings that develop between them. While I am not a big fan of love triangles, I just knew I had to read it for no other reason than Brittany Crowley wrote it. She has never steered me wrong with her amazing characters and fascinating story lines so I just had to open up and dive right in, not realizing what kind of peril my heart would end up in. Lexi Kile is a young woman who we get to experience much heartache and trial and tribulations with. So much so that I feel like I am a part of her world and am her overprotective big sister. I felt like I weathered through the storms of love with her and shed tears along side her, enjoyed moments of bliss, and rays of happiness. She is a strong and independent woman who learns to survive and flourish despite emotional upheaval. I couldn’t wait for her to receive all the love that she deserves and watch her thrive and grow. Carter Larue is one of those smooth talking, charming book boyfriends that you can’t help but be enamored with and give your heart to him even though your head is telling you no. Even though I knew there was pain in Lexi’s future with him, I couldn’t help but fall hard and fast and enjoy every bump my heart took along the way. He is charismatic and gorgeous and you just know that he is a good man who makes really bad life altering decisions. But like I said, you can’t help but love him anyway. Nate Weston is a drool worthy, sweet to his very core book boyfriend that I gave my heart to instantly. He swoops in like the knight in shining armor that you know he is and is exactly what the doctor orders to help sooth Lexi’s wounds and put her back together. I cannot sing Nate’s praises enough and I couldn’t spend enough time with this delicious hunk of a man who shows he is selfless in every way possible. He does things out of love for Lexi that blow my mind and obliterate my heart! 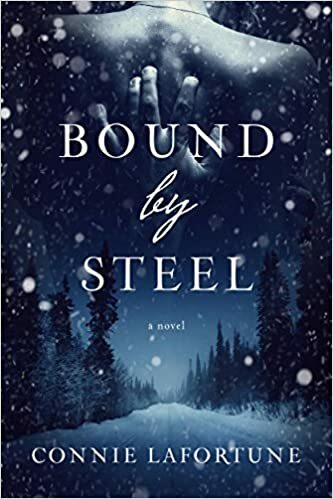 Brittany Crowley delivers a heart dropping, emotional ride through Lexi’s life that has you holding on for dear life and enjoying every thrilling twist and turn while also wondering how you got here. I highly recommend Fool Me Once for a romance that is deep, gritty, and at times downright dirty. 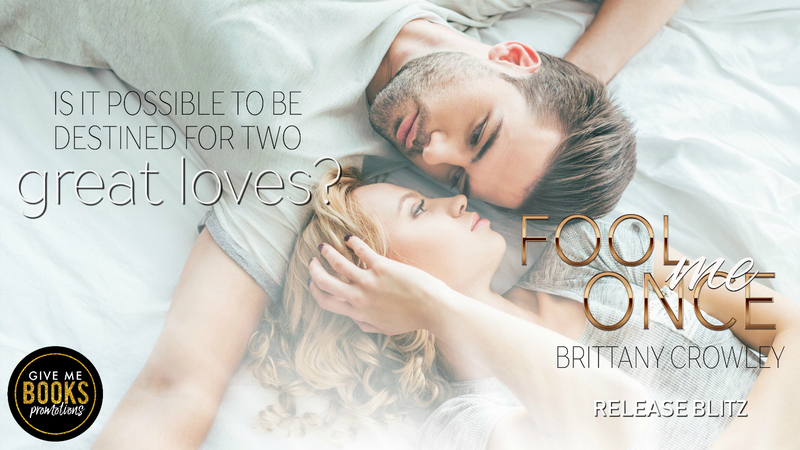 Brittany has left me in awe of her profound insight that shines through in every page! I can’t wait to see what she has in store for her fans in her future books. Bring on the feels Brittany, our hearts can take it! 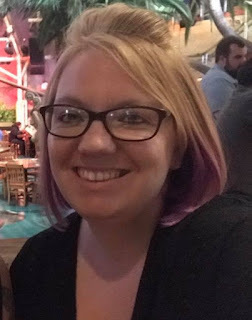 Brittany Crowley was born and raised in Massachusetts. She still lives there today with her husband and 3 kids. Getting into the world of romance after she had her first child, she was hooked. Though she had many ideas in her head, Brittany was unsure if she had what it took to become a writer. A few encouraging words and one writing challenge later, she completed her first book. 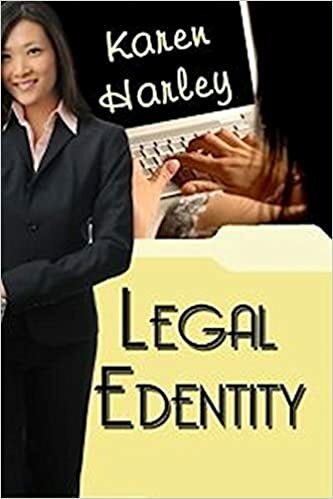 Now you can find her trying to keep up with her crazy kids and writing any chance she gets.